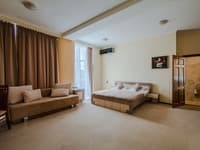 One room apartments Condo (on Krasnoarmeyskaya street) are located near the city center, 3 minutes walk from the Olympic Stadium and 8 minutes by metro to the city center. Distance from the train station is 3 km, from the airport - 5.5 km. The nearest metro station is "Palac Ukraina". The apartments are equipped with all necessary appliances: cable TV, high speed internet, bathroom. Nearby there are many cafes, restaurants, restaurant of Ukrainian cuisine, Vladimir market. Near the apartments there is a parking lot. 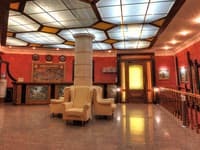 Description of the room: One bedroom cozy apartment near the center of Kiev. The apartments have a double bed, a double sofa, high-speed Internet Wi-Fi, cable TV. Nearby there are many cafes, restaurants. 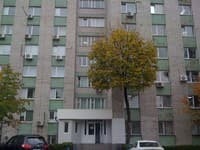 The apartment is located a minute's walk from the subway station “Palats Ukraina”(3 minutes to the Olympic Stadium and 8 minutes by metro to the city center). Distance from the train station is 3 km, from the airport - 5.5 km. 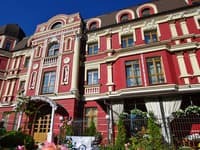 The apartments are located a minute walk from the metro station Palace Ukraine.